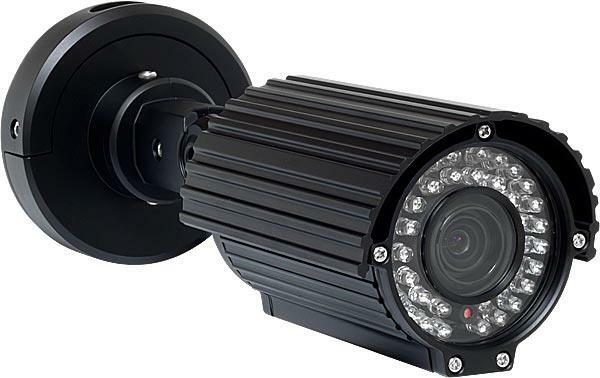 The 2142FV-XIR is another infrared camera that comes with Sony’s CMOS sensor and progressive scan technology. Probably the best improvement made in terms of picture quality while developing this device is the HD-SDI 1080 format. Along with the highest level of resolution the camera gives you the coverage up to 100 feet in complete darkness. The camera is also adorned with SDI BNC and standard form of BNC video outputs. The SDI BNC will give you the full effect of 1080p resolution when connected with HD-SDI DVRs or standard resolution using the composite BNC with conventional DVRs. Rear part of the camera is equipped with knobs that can control 2.8-12mm mega pixel varifocal lens and a removable cover for access to OSD functions. Dual sensor technology gives vivid color images at day time and automatically switches to B/W mode as soon as the light level falls. 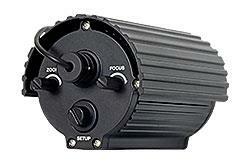 The 2142FV-XIR is equipped with 40 infrared LEDs and IP67 weatherproof housing.